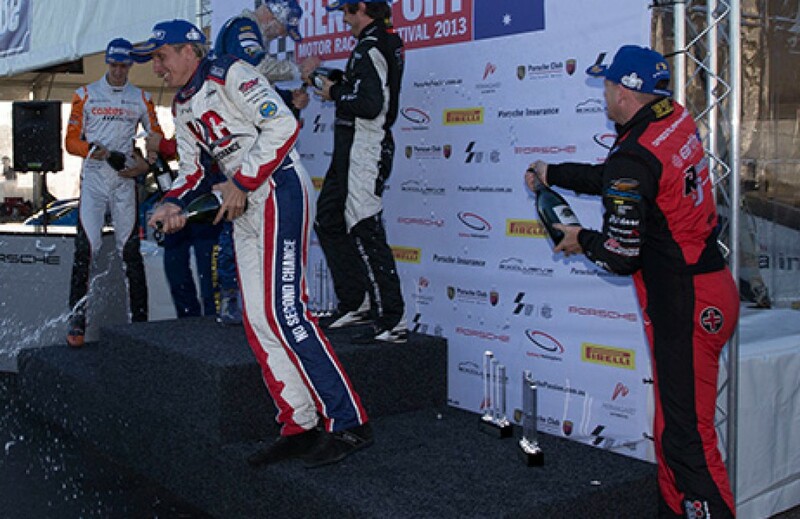 Rennsport was a long time in the making being the first co-driver race in recent Carrera Cup history. Leading up to the event there was plenty of speculation in the lead-up about which co-drivers should be classified as a Pro driver and who was Elite. We were very happy to secure Geoff Emery to support Luffy, Troy Bayliss with Michael Patrizi, our lead driver from last season Alex Davison with Tony Bates, James Davison backing up Tony Walls & the highly experienced Peter Hill with Renee. We tested at Eastern Creek (Sydney Motorsport Park) two weeks before the event to give ourselves the best preparation possible. Unfortunately Tony Bates car broke a crankshaft early in the day so he and Alex spent most of the day watching their team mates test. We gave Batesy a dozen laps at the end of the day in Luffy’s car to at least give him some track time. Looking after ten Carrera Cup drivers along with our GT3 Cup Challenge driver Scott Taylor, kept the MR management team on their toes all weekend. Unfortunately Scotty had an sizable off at turn 1 in qualifying and even the best bodyshop in Sydney was unable to get it mobile for the rest of the weekend. There were some very promising aspects to the weekend like Alex Davo getting Pro class pole in Batesy’s car (the fastest lap of the weekend) and Michael Patrizi leading the last race by a comfortable margin until a bracket on the side of the gearbox came loose and left the car stuck in 4th gear dropping them from first to fifth on the last lap.